This time on Go Forth And Game I’m talking to Dan Yarrington of Myriad Games! 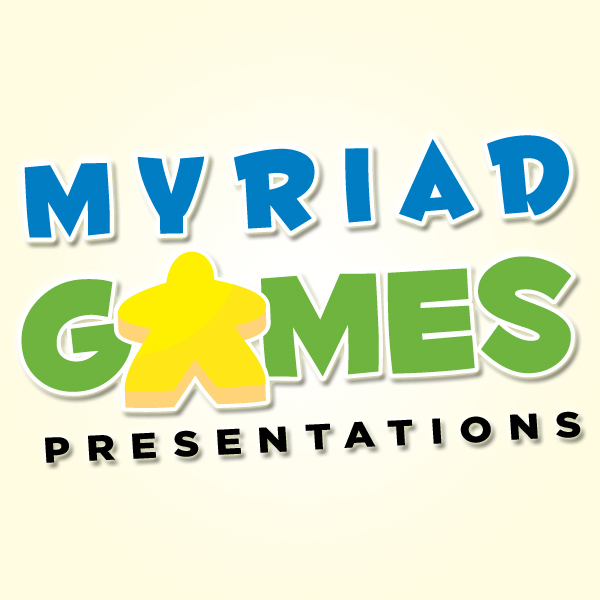 Myriad Games is one of the premier game stores in the world, in my opinion. And Dan is a big part of that. Tom: So Dan, tell us about yourself and your store. 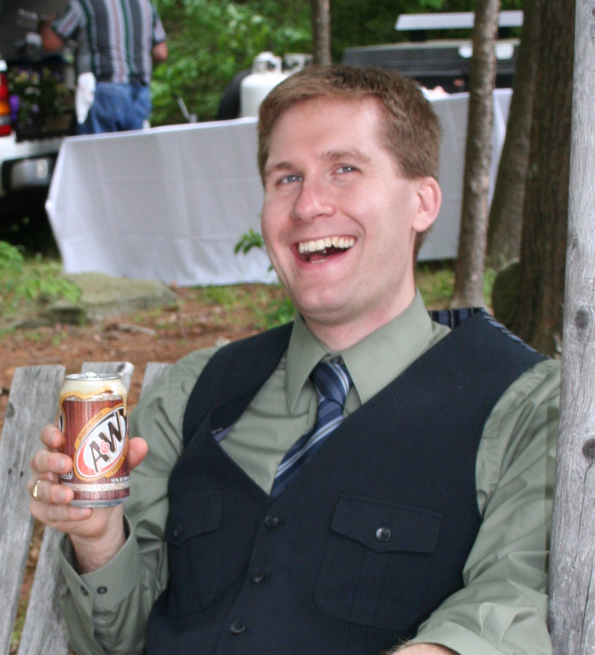 Dan: Myriad Games has been in business since 1999 and I’ve been in the industry since 1996. 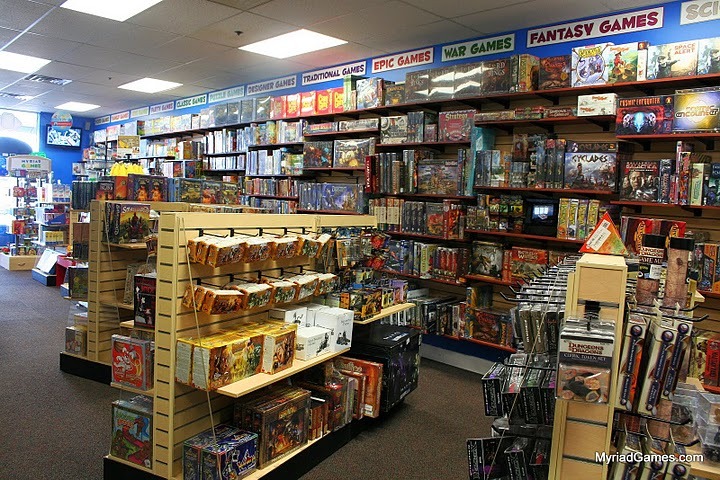 Our stores provide a massive selection of tabletop games and Friendly Professional service from our Game Guides. We love games and we love sharing them with new folks every day! Dan: Listen to what customers are looking for and then proactively provide the best service possible. We not only strive to provide the finest selection of games and accessories that folks know they want, but also introduce them to other great titles that they’ll enjoy, based on their personal preferences. Tom: Myriad Games is very active in the gaming community. You have podcasts (Myriad Games Presentations), two brick and mortar stores, and a successful online store. Why so much? catalog overwhelms the benefits for our individual store locations. We now use the Free Local Pickup catalog powered by GameSalute.com (Shop.GameSalute.com). Game Salute does all the work of maintaining the product listing, updating the details, and simply refers sales directly to local stores around the world (including Myriad Games). Tom: You also volunteer advice and help to people opening or thinking of opening game stores. Again, why? And how ‘successful’ has this been? Dan: I provide mentorship and advice for a variety of reasons. We’re better served as an industry if we have solid, profitable, professional retail locations to represent games and gaming to the public. That’s how we grow and attract new folks. We work with stores to give them advice on what they need to succeed and help expand the number of stores all around the world, and improve the quality of those stores. We get lots of great feedback and ideas from these discussions that allow us to improve our operations as well, so I find it very successful. We’re always looking for ways to innovate in the industry and constant communication with other like-minded individuals is the way we keep that flow of innovation going. Tom: I really appreciate your work helping the gaming community grow and flourish. Mentoring ‘the competition’ is something you do not see in other industries. ‘Keep moving forward’ is a good motto. What is one thing you would like to see game companies do to support you better? That's a LOT of games. And this is only one part of the store! Tom: What professional organizations does Myriad belong to or support? Tell about those. Dan: We’re a charter member of the Professional Game Store Association (www.ProGameStores.org) and I serve as the Treasurer for the organization. 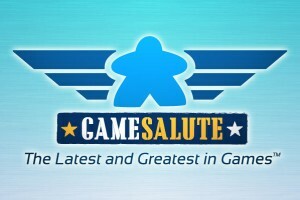 We’re also a proud supporter of Game Salute (www.GameSalute.com), which provides tools and services for the industry. We’re involved in beta-testing many of their Store Support Services. Tom: Do you host game nights? If so, how do you handle them? Dan: We host game nights, tournaments, and celebrations every month. We find folks who are passionate about games and then let them guide the format of the events. We provide the venue and support they need to help us create awesome events for the local gaming community. “We don’t sell games. We don’t push games. We don’t support games. We don’t carry games. Tom: Many stores have store copies/demo copies of games and demo days. How important, in your opinion, are these types of programs? Tell us about any other special programs you run at your store? Dan: We have an extensive Game Library with hundreds of games (new ones arriving every week!). Folks can play these games in-store through the Board Game Arcade™ or at home through GameShare™ Both of these are services that are powered by GameSalute.com for local stores like ours. Tom: You participate in the Extra Life event. I’m not sure everyone knows about that. Could you tell us about it? Dan: Extra Life is a celebration of games – a 24 hour game day that raises money to help heal sick kids. Playing games and helping kids. These are things we can all get behind! We participated last year as part of Team GameSalute.com and altogether the team was able to raise over $5,000 to donate to local Children’s Miracle Network hospitals! (Visit www.Extra-Life.org to sign up for this year). You can join us at our event, run an event at your favorite local store, run one at your house, or just donate to someone who is doing the marathon of gaming. This year’s event is October 15th, so be sure to sign up today! Tom: Do you participate in Free RPG day? If so, has it been valuable to you? Dan: We participate in Free RPG Day every year and find it very valuable for supporting our customers, introducing them to new games they’ll enjoy, and introducing folks who have not played RPGs regularly to the genre. We look forward to more events like this to support and celebrate gaming all year long! Tom: Tell us about GameSalute.com. I’ve been following it since day one and am quite impressed with the content. Tom: I think Game Salute is an excellent resource for gaming. I’m fortunate to have been accepted as a contributor on Game Salute. It has been very beneficial to Go Forth And Game. It is good to see Game Salute expanding into store support. I think that stores banding together can lead to good thing for the industry. What makes a good player in your opinion? Dan: Someone who is willing to share games with new players. Someone who is polite and a good sport. Someone who has fun playing and beams that enthusiasm out to the whole world around them. Tom: I think you hit on something there. Enthusiasm is contagious. And someone who will teach new games is essential. We are fortunate to have a group where most people are comfortable with that. Because new games are what’s hot. What is your current hot game? Dan: We’ve been fortunate enough to receive a special preview copy of Leprechaun’s Castle from new publisher True to Life Games. We’ve been playing that a lot recently and it’s exciting to see it moving toward publication. Folks can pledge their support to the Springboard campaign to product Leprechaun’s Castle at www.GameSalute.com/Springboard. I’ve also very much enjoyed the recent release from WizKids: Star Trek Expeditions, designed by Reiner Knizia. 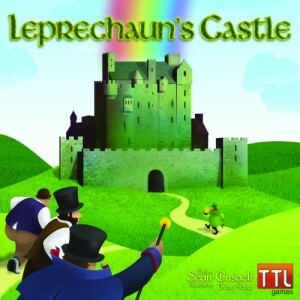 Tom: Leprechaun’s Castle sounds fun. Crowd sourcing seems to be the way to go to get games published. You’re support of Springboard speaks to your feelings about this route of publishing. Could you give us your thoughts about it? Dan: This is definitely one of the ways designers can get their games published and it really helps players find games that are going to be great for them. They can get involved from the ground floor in being a part of bringing that game to market – making an idea a reality. That’s the power of crowd sourcing. Springboard just focuses that attention on tabletop games and provides supplemental resources (like Featured Fulfillment) to help make potential games successful. Even established publishers are using crowd sourcing to create new games, since the involvement from the public is so important. Springboard takes that a step further by getting gamers and stores involved in helping make a game the greatest it can be. Dan: Just to remind everyone of how awesome it is to sit around a table with friends and family and play games face to face. We’re so plugged in these days that it’s tough to focus on the actual person to person interactions that really matter. Tabletop games are a great conduit for building and strengthening relationships and a great way to have fun! Tom: I absolutely agree with you. Playing games with friends and new friends is one of my favorite things. The gaming community is fantastic. Going unplugged is very rewarding. Are there any links you would like to share? You can email me through www.MyriadGames.com and send me suggestions for improving the industry. Dan, that was an awesome and interesting interview. I really enjoyed this. I think you’ve some really great ideas and have done a lot for the community. I liked learning about Myriad and Game Salute. I look forward to talking to you in the future. And, dear readers, please visit Myriad Games, Game Salute (leave a comment on my articles), and check out Springboard too. Leave a comment below and let everyone know what you think about this interview.